Fermentation always starts naturally and spontaneously. The grapes will always ferment in wooden vats with indigenous yeasts and no temperature control. Maceration times can vary, up to two or three weeks. The total time that this wine spends in oak is 24 months, of which 18 are spent in new French-oak casks and the rest in oak vats. After ageing there is light fining of the wine using fresh egg whites. The dense legs that this wine reveals are a sign of its enormous elegance. The purple-coloured hues around the rim reflect its youth. 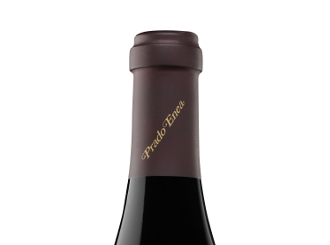 On the nose you find black fruit aromas at the peak of ripeness, spicy black pepper aromas and woodland herbs. Balsamic herb nuances appear with rosemary and some smoky notes from the ageing in top class oak casks, creating a harmony and balance which cannot be matched. In the mouth we can find the juicy, elegant tannins with a nice sharp acidity to balance the palate. Hints of liquorice and the pepper return. A very persistent, elegant, enjoyable and approachable wine. You can pair this wine with red meat left to hang for a good time, game or failing that, enjoy it on its own. We can also recommend it to accompany grilled white fish. Art. 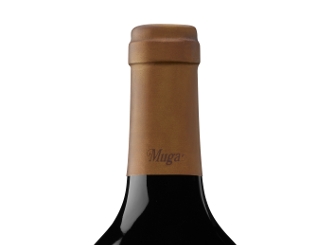 10 LSSI: www.bodegasmuga.com is an internet domain belonging to BODEGAS MUGA, S.L., registered business address Barrio de La Estación, s/n, 26200 HARO (La Rioja) and VAT number: B26010710. 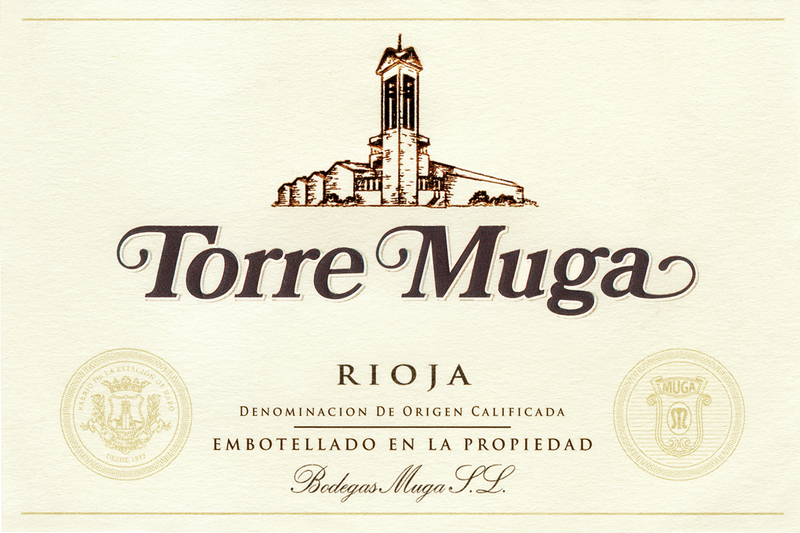 The company is enrolled in the Companies Register of La Rioja, Volume 319, Book 0, Sheet 92, Page LO-2764, Entry 28, of 26 August 2004. This Legal Notice regulates the use of the said domain. The User promises to provide true, accurate and complete details regarding their identity wherever required to do so in order to access those sections. Furthermore, they promise to update the personal details that may be facilitated to the owner of the domain, thereby being the sole party responsible for any falsehoods or inaccuracies that may be recorded. You are informed that any minor must obtain the permission of their parents, guardians or legal representatives in order to be allowed to access the services provided. No responsibility will be accepted in the case of data in this matter proving false or inaccurate. Making any kind of manipulation or alteration of this page, without the prior consent of the owner of the domain, who shall not accept any responsibility which may result from said manipulation or alteration by a third party. Carry out any action which may damage, overload, render unusable or deteriorate the Portal and the services, and/or impede its normal use and utilisation by the Users. Introduce and/or Use computer programmes, data, defective files, virus, malware code, IT, telecommunications or other equipment, regardless of its nature, that could damage the Portal, any of its services, or any of the (physical or logical) features of the information systems of the owner of the domain. Violate the rights to intimacy, personal image, data protection of third parties in communications and to intellectual and industrial property rights. Hide or falsify the source of e-mail messages. Use false identities, usurp the identity of other sin the use of the Portal or in the use of any of the services. Reproduce, distribute, modify or copy the content of this page, unless they have the authorisation of the owner of the domain or is legally authorised to. Share user names and access passwords with unauthorised third parties. 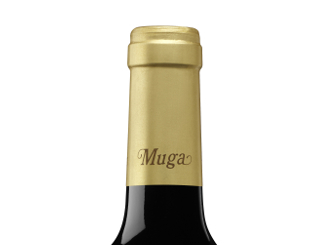 BODEGAS MUGA, S.L. is not responsible for links to other web pages belonging to other parties and their presence does not imply that they approve of or accept their contents and services. These other web pages are not controlled or covered by this Confidentiality Policy. If the links provided are used to access other web sites, the operators of such webs shall be able to gather personal data. Make sure you accept the Confidentiality Policies of these third party sites before providing any kind of personal information. In general, the owner of the domain is exempt from responsibility for damages of any kind and nature which may result from use of the web, as well as damages resulting from infringement of Intellectual and Industrial property rights by users and/or lack of truthfulness, accuracy and currency of the contents, and no responsibility shall be demanded from them for the interruption of services, inadequate functioning or impossibility of accessing the service. The owner of the domain shall not be responsible for the damages caused by the presence of viruses or any other harmful software which may affect the User’s computer system. The web site, including as an example but not exclusively, its programming, designs, logos, text and graphics are the property of the provider or where applicable they have a licence or express authorisation from the authors. Irrespective of the purpose for which they were created, the total or partial reproduction, use, exploitation, distribution and sale, require in all cases the prior written authorisation of the owner of the domain. The user undertakes not to perform any act against the author’s intellectual or industrial property rights. The provider expressly authorises third parties to redirect directly to the specific contents of the web site, but in all cases must redirect to the provider’s main web site. You can consult our personal data protection policy here Data Protection Policy. These Conditions will be governed at all times according to the provisions of Spanish law. 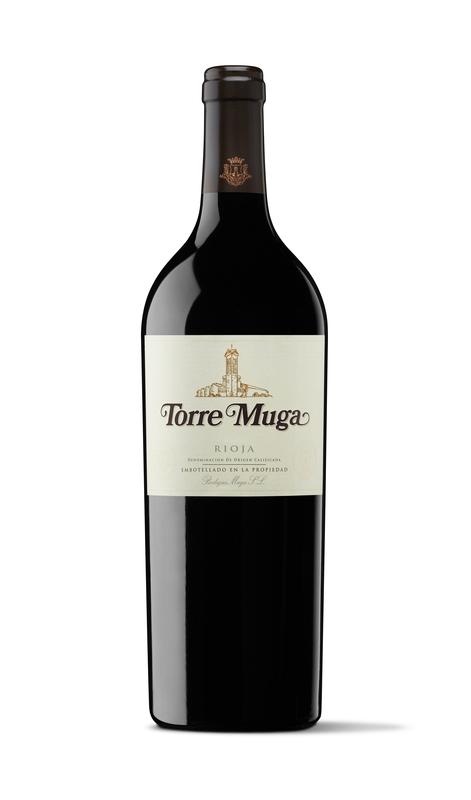 The company responsible for the processing of data regarding the various processes with respect to the management of our users, customers or suppliers is BODEGAS MUGA, S.L. , registered business address Avda. Vizcaya, 2 – Barrio de la Estación, 26200 HARO (La Rioja) and VAT number B26010710. 2. What type of data do we hold regarding your person and how were they obtained? Professional details such as post, competencies, etc. In no case do we process especially protected data. All the above-mentioned data has been obtained either from you directly through the submission of a contact form or the presentation of a commercial offer, contractual proposal, etc. or through your company by providing us with the identification details and other information necessary in order to conduct the contractual relationship between the parties. It will be you or your company’s responsibility to provide us with updated data in the case of any changes. 3. For what purposes do we process your data? a) For sending the information you request through the contact form of our web page or any other means of contact with our company, b) To facilitate to both potential clients, offers of products and services of your interest, c) Conducting the administrative, tax and accounting management of our clients and/or suppliers, d) Carrying out customer satisfaction surveys, market studies, etc. so as to be able to offer you the most appropriate offers and optimum quality of service, etc. We are not going to draw up commercial profiles based on the information supplied and consequently we will not take computerised decisions about you on the basis of a commercial profile. 4. How long will you keep my details? Personal details about individuals linked to potential customers, customers and suppliers which are gathered through the various contact and7or information gathering forms will be kept for so long as you do not request their suppression. The details provided by our customers and suppliers will be kept for as long as the business relationship continues to exist between the parties, always respecting the minimum legal period they must be kept for depending on the subject matter. In any case we will keep your personal data during the period of time which is reasonably necessary considering our needs in order to respond to the questions raised or to solve problems, make improvements, activate new services and meet the requirements the applicable legislation requires. This means we may keep your personal details for a reasonable time, even after you have ceased to use our products or you have stopped using our web site. After this period your personal details will be deleted from all the systems of our company. 5. What is the legal basis for the processing of your details? Marketing: commercial actions about our products or services aimed at our customers or those people who have asked us for information in the past including the conducting of customer feedback surveys with our customers, sending sales information and news about our services and products, etc. Free and unequivocal consent of the interested party (potential customers), we make them state that withdrawal of consent can in no case condition the execution of the contract which existed between the parties; legitimate interest of the company in promoting and marketing similar products or services to those obtained or requested by the interested parties in the past. With regard to the legal basis above you are required to provide personal details and in the event of your not providing information of a personal nature your contract will not be able to be executed, or comply with the legal or related obligations of the public authorities. 6. Who will my data be shared with? Our company will never share your personal data with any third party company which seeks to use them in their direct marketing actions, except in the case where you have expressly authorised us to do so. We inform you that we may facilitate your personal details to Public Authority bodies and the Competent Authorities in those cases where we receive a legal request from such Authorities or in cases where acting in good faith we consider that such an action is reasonably necessary to comply with judicial proceedings, to contest any complaint or lawsuit, or to protect the rights of our clients and the public in general. We inform you that your details will not be transferred or shared with third parties and that our company is wholly responsible for their processing and custody. 7. What are your rights as an interested or affected party? Anyone has the right to obtain confirmation of whether or not we are processing personal data which concerns them. Furthermore, interested parties can request the right of rectification of inaccurate details or, if applicable, request their suppression when, among other reasons, the data is no longer necessary for the purposes for which they were gathered. Complementarily, in certain circumstances, interested parties shall be able to request the limitation of the processing of their data, or in certain circumstances, and for reasons related with their particular situation, the interested parties may exercise their right to oppose the processing of their details. Our company will cease to process the data, except when required to do so by law, or in the exercise and defence against possible claims or in those exceptions established by the applicable regulations. Furthermore, we inform you that you have the right to withdraw consent given at any moment, without this affecting the legality of the process based on the consent given prior to its withdrawal. In addition, the user is informed that at any time they may exercise the aforementioned rights by writing to us using the contact details which appear in Section 1: ‘Company responsible for processing’ of this Data Protection and Confidentiality Policy, attaching a copy of their national ID. You will also have the right to present a complaint before the Spanish Data Protection Agency, especially when you have not received satisfaction in the exercise of your rights. 8. Protection of data of users of the web site. In accordance with the current Regulation (EU) 2016/679, we inform you that details of a personal nature of the Users of the web site will be processed for the treatment activity indicated in each data gathering form on our web page by the company. This processing of your data will be covered by your own consent. By clicking on SEND the user consents to the processing of data by our company. In addition, we inform you that except by legal requirement or your express authorisation, our company will not share your data with third parties. Equally, the User is informed that they may at any time exercise their rights of access, rectification or suppression of data as well as availing themselves of other rights recognised in this document and regulated by Regulation (EU) 2016/679 , by notifying BODEGAS MUGA, S.L. In addition, in accordance with the provisions of the Services of the Society of Information and E-Commerce Act 34/2002, of 11 July, our company promises not to send publicity via email without previously having obtained the express authorisation of the recipient. The User shall be able to oppose the sending of publicity by marking the corresponding box..
9. Other information of interest regarding our confidentiality policy. Our company adopts the levels od security required by the current European and Spanish regulations on data protection considering the state of technology, costs of application and the nature, scope, context and aims of the treatment described, as well as the variable levels of risks of probability and seriousness for your rights and liberties as a person. 9.2 Treatment of data of minors. By the provisions of RGPD EU 679/2016 ANDl RD 1720/2007 Minors over the age of 14 can give their consent to contracting information society services such as enrolling for a forum group, completing a contact form, etc. Nevertheless, it will be the responsibility of checking the accuracy of the age indicated by the minor. For processing data relating to minors under the age of 14, data collection shall always be with the express consent of the parents or legal guardians. 9.3 Modifications in our data Protection and Confidentiality Policy. From time to time, our company shall be able to make amendments and corrections to this section of the Data Protection Policy for Users, Clients and Suppliers. Please check this section regularly for possible changes which may have occurred and how these may affect you. 9.4 Why is it necessary to accept this data protection and Confidentiality Policy? This section of the Data Protection Policy for Users, Clients and Suppliers provides you all the information you need in an easily accessible form so that you can know what kind of data we hold about potential customers and/or suppliers, the aims pursued, the rights that the data protection rules recognise that you have as an affected person and how to exercise your rights. Therefore, with the deliberate sending of your personal details via our means of contact and7or the commencement of a commercial relationship with our company, we consider that you recognise and accept the treatment of your personal data as is set out in the current policy. This personal information will only be used for the purposes for which they were supplied or particular national or regional regulations which allow us to do so. In any case, we must warn you that your refusal to provide certain details could be an impediment to the contractual relations between the two parties with possible serious consequences when providing the services stipulated in the mercantile contract entered into with the contracting party. If you have any queries related to this Data Protection Policy for Potential Customers, Customers and Suppliers of our company section, please contact the company using the address provided in the first section “Organisation Responsible for Treatment” and we will be happy to respond to any additional questions you may wish to ask us. Conditions will at all times be governed by the provisions of Spanish and European law on maters of protection of personal data and confidentiality. A cookie is a file which is downloaded onto your computer when you access certain websites. Cookies, among other things, allow a web page to store and retrieve data regarding the net browsing habits of users or their computers and, depending on the information they contain and the way in which they use their computer, can be used to recognise a user. The navigator of the user memorises cookies in the hard disc only during the current session, occupying a minimal amount of space and which do not harm the computer. The cookies do not contain any kind of specific personal data and most of them are erased from the hard disc at the end of the session of navigation (so-called “session cookies”). Most net browsers accept cookies as standard and, irrespective of what they are, allow or block temporary or stored cookies via the security settings. Analytical cookies: These are the ones which when processed by ourselves or a third party, allow us to quantify the number of users and thereby measure and perform statistical analyses of the use made of the services on offer by the users. So your navigation in our web page is analysed for the purpose of improving our offer of products or services. Third party cookies: The website www.bodegasmuga.com can be used by third party services, on behalf of Bodegas Muga, for the purpose of gathering data for statistical analysis, regarding the use of the site by the user and for providing other services related to the activity of the website and other Internet services. Extreme Tracking is another tool used to control the source of web traffic. The results pages of Extreme Tracking are public and these details (IP address, geographical location, type of operating system, type of browser, internet service provider (ISP), date/time, etc.) are available on public view. We have no control over Extreme Tracking. If cancelled up to 2 days prior (48 hours) to the date booked, the winery will fully reimburse the amount paid. In the event of cancelling within this 48-hour period, not turning up or less people turning up than those included in the reservation, no reimbursement will be issued. Gift cards, once sent, are excluded from the system of returns that have the option of changing the date of the activity.